DURABLE AND QUALITY construction to last for hours and hours of play. INCLUDES one plastic helmet with D-ring for hanging or clipping to a firefighter suit/costume. COMFORTABLE with fully adjustable youth sized headband. 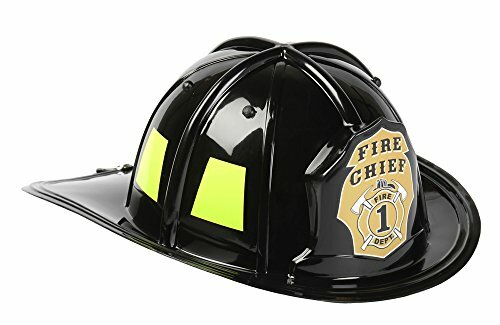 Makes for a quality fit for any young firefighter enthusiast. INTENDED for girls and boys ages 3 and up. EASY TO CLEAN inside and out! This item has been tested to meet USA safety standards for children's products.